There's another Crystal Castles album on the way, and yes, it's called Crystal Castles - again. What are fans of clarity to do? The eponymous sophomore LP will drop via Fiction on June 8 in North America and in Europe June 7. 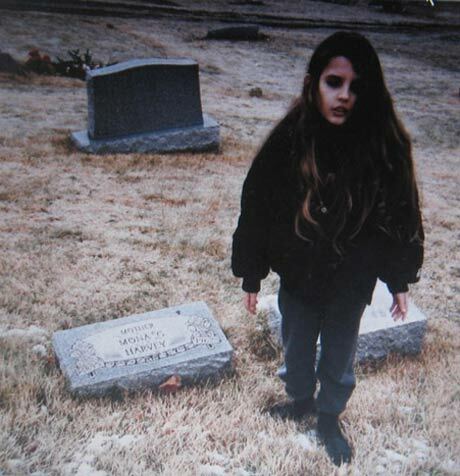 The long-locked child walking through a graveyard up there is the album cover, and the tracklist is below. Beat-maker Ethan Kath and sing-talk screamer Alice Glass recorded the album in a variety of venues, including an Icelandic church, Canadian cabin and Detroit garage. The album's first single will be "Celestica," although no date for release has been set. Of course, if you'd like to hear a single early, you could always check out the duo's limited-edition Doe Deer twelve-inch, which will hit shelves on April 17, aka Record Store Day. As we previously reported, Kath and Glass will tour North America on their HARD Tour this summer, so if you'd like to see them perform songs from both Crystal Castles albums, you'd be well-advised to grab a ticket. 14. "I Am Made of Chalk"